SAGE is an international, leading publisher of groundbreaking textbooks, highly influential journals, must-have reference materials, and innovative resources and tools in social work, social policy, and related fields. Our offerings span the curriculum and reflect our commitment to quality social work content that goes beyond the classroom and focuses on action, advocacy, practice, and sustainability. 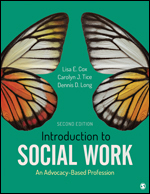 The best-selling Introduction to Social Work takes students to the root of the social work profession by covering its history, practice settings, and career paths within a unique advocacy framework. 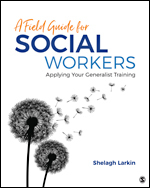 Shelagh Larkin's A Guide to the Social Work Practicum: Applying Your Generalist Training is designed to assist the student in meeting the goals of field and realizing their potential as a generalist practitioner. 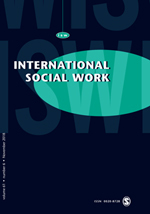 Published in Association with IASSW, ICSW and IFSW, International Social Work is a scholarly peer reviewed journal designed to extend knowledge and promote communication in the fields of social development, social welfare and human services. Learn more.